While chemotherapy targets cells like cancer cells that are rapidly dividing in the body, immunotherapy targets a person's immune system, stimulating it to recognize and attack cancer cells on its own. In other words, immunotherapy allows a person to use his or her very own best tool (their own immune health) to combat cancer. For people with advanced non-small cell lung cancer (NSCLC), the good news is that novel immunotherapies have been and are continuing to be developed by scientists. 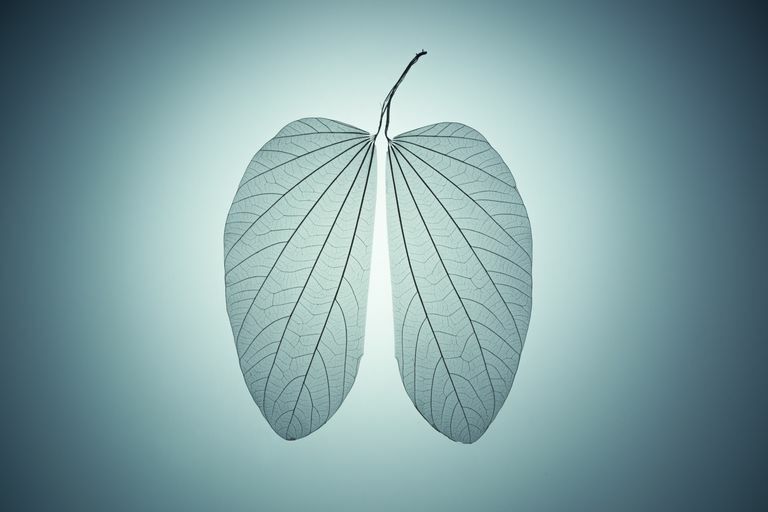 These therapies do not cure advanced lung cancer, but they can help you or your loved one feel better and even live longer. Before delving into the immunotherapies being used to treat advanced NSCLC, it's important to define a few terms related to lung cancer. There are two main types of lung cancer: non-small cell lung cancer and small cell lung cancer. Non-small cell are more common, comprising about 80 to 85 percent of all lung cancer. With that, when you hear the term "lung cancer," a person is most likely (although not always) referring to non-small cell lung cancer. What Is Advanced Non-Small Cell Lung Cancer (NSCLC)? In non-small cell lung cancer, malignant (cancer) cells grow rapidly and uncontrollably to form a tumor within the tissue of the lung. As the cancer grows, it begins to spread to lymph nodes, as well as to distant sites within the body like the brain, bones, liver, or the other lung. Based on a number of tests (for example, a biopsy of the tumor and imaging tests like a CT scan), the stage of the NSCLC is determined. Advanced NSCLC generally refers to stage IIIb or stage IV cancer, which means the cancer has spread to certain lymph nodes and/or to distant sites (this is called metastasis). What Are Immune System Checkpoints? In order to understand immunotherapy, it's important to grasp the concept of what immune system checkpoints are, as these are the molecules that lung cancer immunotherapies target. Immune system checkpoints are normally located on a person's immune cells, and they prevent a person's immune system from attacking healthy, normal cells, only the foreign, abnormal cells (like infected cells). Cancer is tricky, though, because one way in which it avoids being attacked by a person's immune system is by making and expressing these checkpoint proteins. But cancer immunotherapies work to block these checkpoints so that the body indeed recognizes cancer as foreign and launches an attack on it. One major immune system checkpoint targeted by NSCLC immunotherapies is the programmed death 1 (PD-1), a receptor that is normally located on T cells but can be made and expressed by lung cancer cells. Normally, this immune checkpoint is bound at the site of the lung tumor, so the immune system avoids fighting the cancer. But with drugs that block PD-1, the immune system can respond and attack cancer cells. There are currently two drugs that are PD-1 antibodies (or PD-1 checkpoint inhibitors), and they are FDA-approved for treating advanced NSCLC. Both of these drugs are given as infusions (through the vein) every two to three weeks. As a PD-1 antibody, nivolumab has been studied in a number of trials in people with advanced NSCLC. For example, one 2015 phase III study in the New England Journal of Medicine compared treatment with nivolumab versus treatment with docetaxel in people whose advanced NSCLC had progressed during or after undergoing a platinum-containing chemotherapy regimen. Results revealed that those who received nivolumab survived longer than those who received docetaxel—a median survival of 9.2 months in the nivolumab group versus 6 months in the docetaxel group. As an aside, Taxotere (docetaxel) is a chemotherapy traditionally given to people with previously treated advanced NSCLC, so this study is comparing a novel immunotherapy to a current standard of care chemotherapy. In addition to a survival benefit, nivolumab was overall deemed safer than docetaxel in this study—which is good, because a big concern with immunotherapies is that a person's immune system will attack not only the cancer cells but healthy organs too. One of the major adverse effects doctors worry about with cancer treatment is pneumonitis, which is when the drug triggers lung inflammation (not an infection, which you see with pneumonia). Doctors especially worry about pneumonitis because it affects lung function, which is already diminished in lung cancer. In this study, pneumonitis occurred infrequently in the nivolumab group and was of low severity when it did occur. Pembrolizumab is FDA approved to treat advanced NSCLC in people who do not have a certain genetic abnormality of their lung cancer (an EGFR mutation or an ALK translocation) and in whom at least half of their tumor cells are positive for PD-L1. PD-L1 is the protein that normally binds to PD-1 on T cells, preventing them from attacking cancer cells. Pembrolizumab has also been approved to treat advanced nonsquamous NSCLC (lung adenocarcinoma) along with chemotherapy, regardless of whether the tumor cells stain for PD-L1. In a 2016 study in the New England Journal of Medicine, people with advanced NSCLC and PD-L1 expression on at least 50 percent of their tumor cells experienced a significantly longer progression-free survival (10.3 months versus 6 months) with fewer adverse effects (safer) than those people who underwent a traditional platinum-based chemotherapy. Specifically, progression-free survival was defined as the time the patients were randomized to receive pembrolizumab or chemotherapy, to either the point at which their disease progressed or death occurred. In this study, severe adverse effects were seen in 27 percent of those receiving pembrolizumab versus 53 percent of those receiving chemotherapy. Pneumonitis did occur in the pembrolizumab group at a higher rate than the chemotherapy group (5.8 percent versus 0.7 percent). Tecentriq (atezolizumab) is an FDA-approved medication for treating people with advanced NSCLC whose disease continues to worsen either during or after they undergo platinum-containing chemotherapy. Atezolizumab is slightly different from nivolumab or pembrolizumab in that it is a PD-L1 antibody. In other words, it specifically targets PD-L1, the protein that normally binds to the PD-1 (a receptor on T cells), preventing them from attacking cancer cells. Like the other two drugs, atezolizumab is given as an infusion. In a 2017 study in Lancet, people who had received prior platinum-based chemotherapy for advanced NSCLC were randomized to receive either atezolizumab or docetaxel. Some notable results revealed that overall survival rate was improved in the people who received atezolizumab versus docetaxel, regardless of whether the tumor cells or immune cells within the tumor area were positive for PD-L1 (median of 13.8 months with atezolizumab and 9.6 months with docetaxel). In addition, severe treatment-related adverse effects were seen less in the atezolizumab group, compared with the docetaxel group (15 percent versus 43 percent). Pneumonitis occurred in 1.6 percent of patients in the atezolizumab group, which is low, and less than 1 percent had severe (grade 3 or 4) pneumonitis. Durvalumab (Imfinzi) is another FDA-approved immunotherapy that targets the PD-L1 protein. However, this therapy is used in people whose cancer has not worsened after treatment with chemotherapy and radiation—and more specifically, those with stage III NSLC whose tumors are are also not able to be surgically removed. Serious risks included immune system-mediated side effects like pneumonitis (attack on the lungs), hepatitis (liver), and colitis (colon), among others. Infection and infusion-related reactions may also occur with Imfinizi. It's important to note that there are multiple other immune checkpoint inhibitors being developed. The key to determining their role in treating you or your loved one's advanced lung cancer is really defined by how well these drugs do in phase III studies. For example, one immunotherapy in the pipeline called Yervoy (ipilimumab) has been found to prolong survival in people with metastatic melanoma. This drug targets cytotoxic T-lymphocyte antigen 4 (CTLA-4), which is a primary regulator of how T cells function in the immune system. Ipilimumab is being studied as a treatment for advanced NSCLC in combination with chemotherapy. It's quite unbelievable that certain cancers (like lung cancer) not only grow rapidly and uncontrollably but can actually elude or trick, so to speak, a person's very own defense system, their immune system. That said, cancer experts now have the upper hand with the discovery of immunotherapies—a revolutionary phenomenon that will continue to alter the way we treat cancer in the future. In the end, determining how to treat your lung cancer is a complex and taxing process, and sometimes, more medication is not always the right answer. Please be sure to discuss your wishes, fears, and worries with your family and doctor. Gettinger S. (June 2017). Immunotherapy of non-small cell lung cancer with immune checkpoint inhibition. In: UpToDate, Jett JR, Lilenbaum RC, Schild SE (Eds), UpToDate, Waltham, MA. Rittmeyer A et al. Atezolizumab versus docetaxel in patients with previously treated non-small-cell lung cancer (OAK): a phase 3, open-label, multicentre randomised controlled trial. Lancet. 2017 Jan 21;389(10066):255-65.